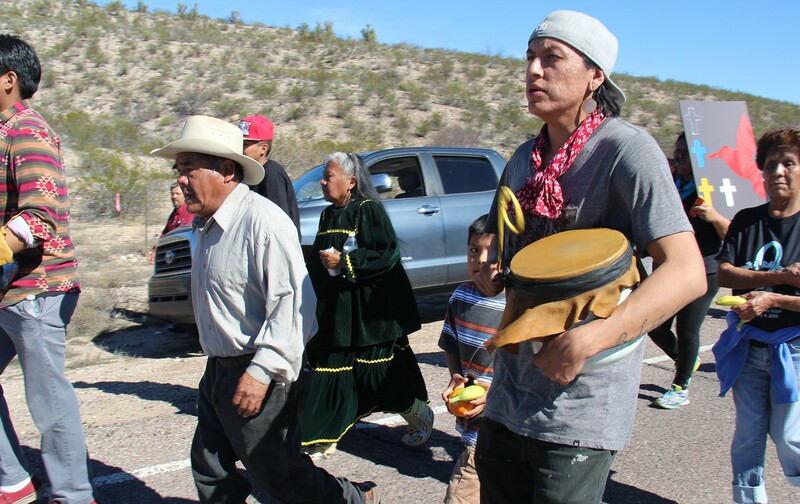 The San Carlos Apache Tribe has protested at the Oak Flat campground for nearly two weeks in an attempt to protect land they deem sacred. The tribe has occupied a portion of the grounds to bring attention to a land swap between the federal government and Resolution Copper, which plans to break ground on a $61.4 million mining operation in mid-2020. But federal regulations state camping isn’t permitted for more than 14 days. The tribe on Tuesday announced a small victory after Tonto National Forest Supervisor Neil Bosworth met with them to negotiate. Tonto National Forest Service spokeswoman Carrie Templin said they can allow the group to stay beyond mandated two-week timeframe. “We are looking at what our options are for the duration of their ceremonies,” she said. The federal government authorized the land transfer as a part of the National Defense and Authorization Act. Resolution Copper received 2,400 acres of copper- rich land in and around Oak Flat campground. Grant said Bosworth was receptive of the tribe’s concerns about Resolution Copper’s plans. Grant said the group hopes Resolution Copper will leave the land untouched. “But there’s a danger there that they are desecrating something special that will never be replaced,” she said. 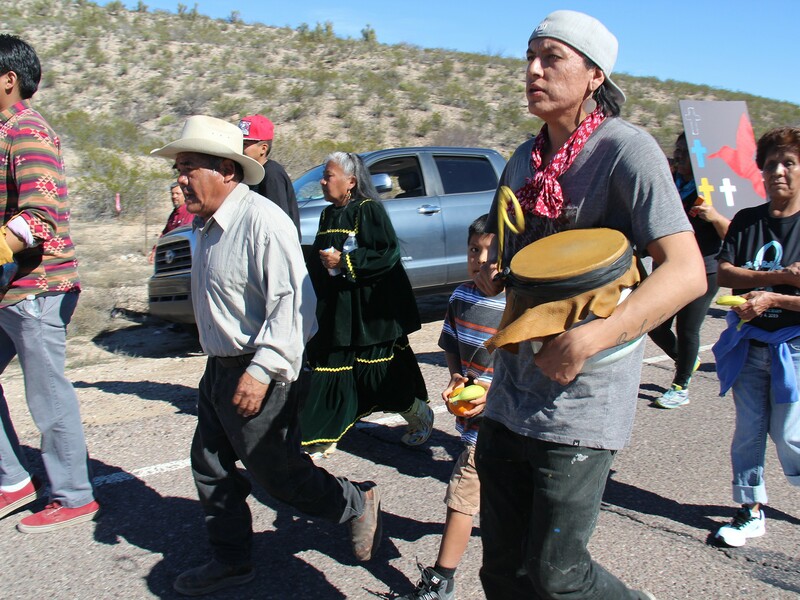 The young and old participated in a 44-mile journey from the San Carlos Apache Tribe’s office to Oak Flat campground where some plan on occupying the area for “as long as it takes,” organizer Vernelda Grant said.